What is WordPress? Simply put, the easiest way to create a website. It is the most popular website platform on this planet. Okay, let’s start from the beginning. If you’re wondering what is WordPress, what it does, and what it can be used for, then you’re most likely new to website development. 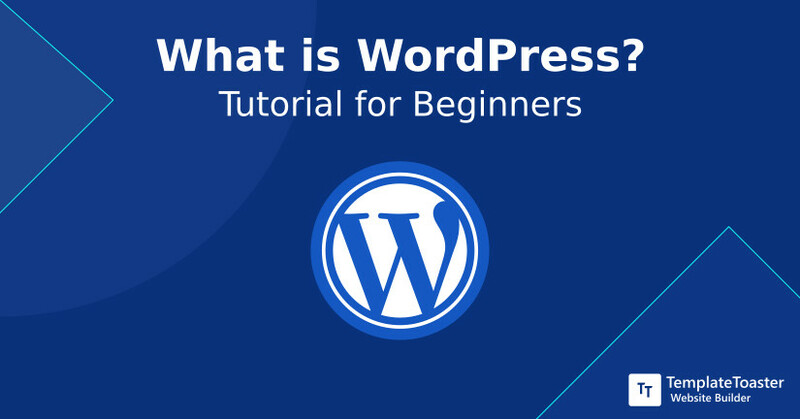 And indeed your search ends here because, in this post, I will shed light on the basic fundamentals of WordPress that you should know about. Since its inception in 2003, it has gained immense popularity and become one of the most widely used content management system (CMS). Nevertheless, when it comes to building and managing a website or a blog, WordPress is certainly the first name that would strike to any developers mind. It meets the needs of both beginners as well as seasoned professionals. It certainly makes sense that to achieve a successful website you need to start with a strong and reliable platform. Since there are so many options available to choose from, it can be a little tough to decide which platform to start with that can serve better. Well, I am not endorsing WordPress here and I won’t give you a biased opinion. In fact, you’ll see by the end of this post that WordPress is worth the admiration. It is the only platform which is close being a perfect option to construct a website, online store, personal profile or anything you could think of. First and foremost a CMS stands for a content management system. It is an application that authorizes you to post, edit, manage, delete, amend, and maintain the website content effortlessly. Undoubtedly, there are numerous benefits of using a content management system. A CMS let you add any form of information such as videos, images, text, and audio to your website. You are free to display any information in any desired format. Among all the available CMSs, WordPress is dominating the web world with a huge margin as compared to other two most famous CMSs Drupal and Joomla. A total of 59.9% people are using WordPress. And according to W3Techs technology survey report WordPress powers, 32.9% of all websites. A massive part, I must say. It just so happens because WordPress is certainly an incredibly powerful CMS. Powerful in terms of functionality, flexibility, and scalability. It’s not rocket science to catch up on its working. It’s actually pretty simple. 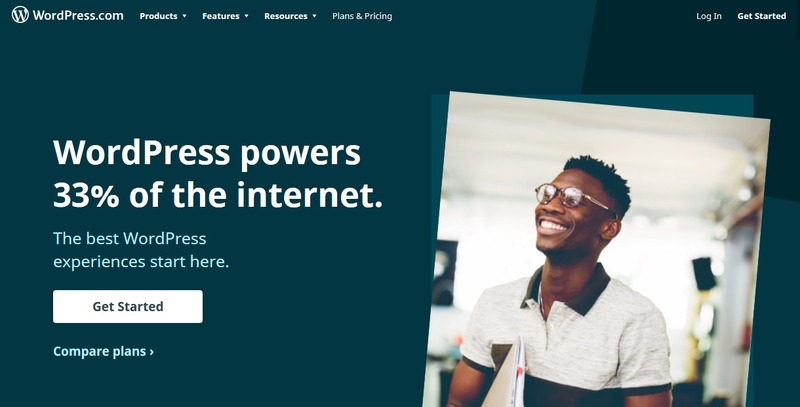 First, you need to download WordPress (WP) software, install it on the web server, now connect it to the database, and finally, you’re ready to display or publish your content on the web. Do not worry if it still sounds a little complicated to you. Because the whole process won’t take more than 5 minutes. After the successful installation of the software, you can anytime build a website and publish your first content using the simple, intuitive, and comprehensive editor. The latest version of WordPress 5.0 is coupled with advanced features to give you a complete working website. Absolutely! The WordPress is entirely free to use for personal as well as commercial use. Certainly no hidden catches. Since countless volunteers contribute to the open source programme to run WordPress hence, it’s completely free to use. It is not possessed by any organization or individual. All the maintenance, support, and development are taken care of by the volunteer team only. WordPress has a vast community which consists of thousands of skilled professionals, who contribute on daily basis. Ranging from professional developers, designers, content creators, and site owners who invest their valuable time and effort in offering services for free to all users. WordPress has two variants; WordPress.com and WordPress.org. Whenever you explore the web and look for what is WordPress, your search most likely lead you to these two options. This can be confusing at first for any novice user. But here is a quick brief about the two. However, for more detailed explanation consider reading the WordPress.org Vs WordPress.com. WordPress.com is basically a fully hosted platform that lets you create your website and provide free WordPress hosting for them. Since it is a browser-based application so you don’t need to download it to use it. You just need to sign up for an account, select an appropriate theme for your website, and simply start designing a website as per your needs and requirements. However, the free version has some limitation in terms of functionality, plugins, and themes. On the other hand, some of the paid services and advanced functionality are also there to boost your website. Well, WordPress.org is a complete self-hosted platform. It comes with an array of plugins and customizable themes to give your website your own personal touch. However, if you wish to create a WordPress theme offline from scratch, do that with TemplateToaster website builder. Since WordPress.org is an open source software so anybody can download it and use it however they want. You just have to buy the domain name and website hosting to run the website. And you get the full control over the website. WordPress is an incredibly versatile software which is freely available to create various distinct websites. With the colossal availability of plugins and themes, you can easily create whatever type of website you want. Likewise, WP is not only limited to blogging and business websites, however, creating an eCommerce is equally simple. It depends on what WordPress theme and plugins you are using for your site. You may read a complete guide to WordPress for better understanding. The following list includes the variety of niche you can create a website for. Yes! WordPress is highly versatile and capable enough to deliver whichever website you want. Those who are new to this platform must be thinking that what is making WordPress so popular in the first place. And why so many people are choosing it as a stepping stone for their website. WordPress is totally free to use. It is an open source platform and over thousands of volunteers around the globe are constantly contributing to making it work perfectly. These volunteers are accountable for all the new features and updates. Just download the WordPress and use it however you like and it’s absolutely free. Nevertheless, it has a lot to offer in its free version. But at the same time with premium themes and plugins you can extend your site to the desired level. By default, it will be installed in the English language. Still, if you wish to change the WordPress language, even that is achievable as well. WordPress has many benefits and the most prominent is simplicity. So, next time when you think of creating a website do it with WordPress and I am sure you won’t look elsewhere once you started using it for your projects. It doesn’t require you to be technically skilled to use it. Simply use it with ease. Creating any website, for instance, business website, blog, eCommerce store, etc. without any hassle. In fact, you are free to create an eCommerce website with TemplateToaster effortlessly. No matter what kind of website you’ve created with WordPress it’s pretty easy to expand it to whatever level you feel like. WordPress is coupled with various options to scale your website to another level altogether. Even if the website mounts up a hundred times more, WordPress can manage it pretty well. Scalability and flexibility are the two most countable features of WordPress. And this makes it the most dynamic CMS amongst the other available options. You may also like to read about WordPress Vs Drupal, Blogger Vs WordPress, WordPress vs Joomla vs Drupal comparison to have better insight. WordPress has a huge repository for themes, plugins, and tools for WordPress admin and for your website which lets you customize WordPress admin dashboard and your website easily even if you’re not a professional developer. Simply by using the WooCommerce plugin, you can transform a normal website into an online store to sell your products. However, you can also learn to create a WooCommere theme with some easily available options like TemplateToaster website builder. WordPress abides by best web standards. It has the elegant source code and that will in return help the search engine to find your website quickly. A site should be SEO-friendly in order to get a higher rank in the search query. And WordPress supports tags, meta-data, categories, SEO plugins, etc. to do so. In fact, you can use the best WordPress SEO plugins to make your site SEO-friendly. Likewise, you can design SEO WordPress theme for your site and get started. WordPress plugin storehouse is another indispensable factor that comes along with this robust CMS. Plugins are basically software applications that give you some extra functionality to enhance the website. There are many free as well as paid plugins available to extend the usability. You will get various plugins such as WordPress brute force protection plugins to protect your site from external attacks, WordPress email marketing plugins to market your product, WooCommerce plugins to convert your site into an online store and many more to improve the page load time, blocking spam, monitoring and managing site’s traffic, etc. Simply search for the essential WordPress plugins right from the WordPress admin and install them with a few clicks. A community is as strong as its people. And this is something WordPress has a good grasp over. It connects people to share their views over the same projects. With the list of different social groups associated with WordPress, it gets really simple for its users to receive help for any problem they face. Every day more people join the WP community and share their knowledge with other like-minded people. People from various regions and countries contribute to the community in terms of features, updates, bug fixes, support, etc. However, you can ask your queries at the support forum and get multiple answers for the same question. Because there can be multiple ways to solve a single query. So, Is WordPress the best way to build a website? Unarguably, WordPress is the best and the most popular platform to make a website. Whatever you want to build your website for, it is the perfect choice to launch any website with. Be it small-scale, large-scale or any other size website you aspire to have, it power all. There is an infinite resource to enhance your website’s functionality and ease the development process. In fact, to maintain your website, the plethora of plugins will serve you. And if you crave to design your creative themes for your WordPress website from scratch then do not waste any more time and get started with TemplateToaster today. I believe now that you know a lot about WordPress, it’s time to try it for your next project. And if you are already using it then I don’t have to say anything because you must be already experiencing the magic of WordPress. Well, either way, I would like to know your thoughts in the comments below. Keep reading and keep checking this space for more updates.